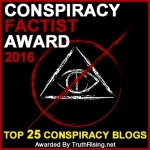 Dana Durnford "Fukushima Radiation & NOT Climate Change Is Responsible For Extreme Weather." Where are so-called International Organizations? Where is UN? Where is Human Rights Organizations? Where are those so-called humanist Activists? February 28th, 2016 marks the 25th anniversary of the end of Operation Desert Storm, the combat phase of the Gulf War, the first war with Iraq. This conflict was a turning point in US and world history, but the ensuing wars in Afghanistan and Iraq turned these war theaters into toxic waste lands. Desert Storm ushered in the widespread use of depleted uranium (DU) ammunition, a topic that few official spokespersons want to talk on the record. Now Syria is fast becoming the latest toxic battlefield where the “real weapons” of mass destruction are being deployed. Even though the Pentagon has professed a reversal of decision on the use of DU munitions, the clear cut evidence still does not support any real effort to reduce their indiscriminate use. It should be noted that US and UK forces during Desert Storm, openly acknowledged having fired some 286,000 kilograms of DU shells in between 1990 and 1991. Apes have a habit of flinging their poop on their enemies. We see this behavior in humans, such as when Israeli settlements intentionally dump their raw sewage onto neighboring Palestinian farmlands. Depleted Uranium is just the high-tech version of this same behavior. A Japanese court has found the government guilty of negligence causing the Fukushima nuclear disaster and ordered them to pay tens of millions of dollars in compensation to victims, according to reports from Japan. The Pentagon has announced that depleted uranium (DU) munitions have not, and will not, be used by US aircraft in the conflict against Islamic State in Iraq and Syria. As seen in this article, the US did not keep that promise! The staff of American USSR has learned in a book by Dr. Mohammad Daud Miraki and reported with a graphic video of deformed babies at Press TV that The United States' use of radioactive munitions in Afghanistan has destroyed the people's health and mutilated the genetic future of the country, Press TV reports. Dr. Mohammad Daud Miraki, the author of Afghanistan After Democracy: The Untold Story Through Photographic Images, told Press TV's Kabul correspondent on Monday that the US has committed horrific crimes against the people of Afghanistan. He said the US used depleted uranium in the country and Afghan babies were being born with severe deformities. Exposure to depleted uranium causes genetic damage, birth defects, cancer, diabetes, immune system damage, and other serious health problems. “It’s actually very difficult to decontaminate an area that’s been affected by depleted uranium, because it spreads so uniformly across the area and in the form of these very fine particles. “So, it’s not a case of going somewhere and finding something that’s radioactive and removing it. “You can do that, but the thing that are causing the problem is the inhalation of these dusts. And once the dust is created, it goes all over the place. “The damage that’s been done to the DNA, you can’t clean that up, it’s already there. Fire Shuts Downs 3 Coolant Systems at Turkey Point. A year after heavy water leaked from the coolant channel in unit I of the [India's] Gujarat-based Kakrapar Atomic Power Station (KAPS-1), preliminary investigations have found corrosion spots on the channel’s outer surface, and through-wall cracks in it… On March 12, KAPS-1… underwent an automatic shut down at 9 am after a leak from its coolant system. Following this, a ‘plant emergency’ was declared. “I think it’s about as close to hell as I could imagine,” Gundersen added. Radiation concerns and Fukushima - How to protect yourself. Dr. Russell Blaylock gives advice. An eminent nuclear engineer claims that the triple meltdown at Fukushima is the world’s worst ever cataclysm, and is likely to continue affecting wildlife and humans for the next 250,000 years. Nuclear Engineer: Fukushima is “Worst Industrial Cataclysm in History of World! A different kind of dead zone in the Pacific may potentially be slowly moving towards the US, as described by a sailboat captain below. This dead zone may be due to a combination of the tsunami washout from Japan, plus the added layer of radiation coming from the Fukushima mega nuclear disaster that continues up to today. Fukushima is still pouring massive quantities of radioactive water into the Pacific, right up to today. This mega nuclear disaster is just beginning and it is getting worse and worse. The nuclear industry and mass media stopped covering Fukushima, or they claim it is in cold shutdown, and normal decommissioning. Low dose radiation is 'harmless' according to pro nuclear apologists and biologists repeating it ad nauseum. But is that really true? The explosion at Chernobyl nuclear power plant produced a radioactive output of 50 million curies. This number is equal to the consequences of the explosion of 500 atomic bombs that the Americans dropped on Hiroshima in 1945. Ninety percent of nuclear fuel of the ChNPP was released in the atmosphere of the Earth. The explosion affected the total area of ? ?50,000 square kilometers in 12 regions of Ukraine. In addition, the Chernobyl disaster made 150,000 square kilometers around the station unsuitable for living. The entire population of Pripyat, 47,500 people, had to leave the city the day after the accident. As many as 300 residents wanted to return home a month afterwards. The area, where they settled, was then called the Zone of Alienation. Those people's relatives were not allowed to visit them for 20 years afterwards. In total, 8.4 million people - not only in Ukraine, but also in Belarus and Russia - were exposed to radiation. With humans long gone, and robots dying off amid the radiation, Fukushima has become home to ‘something else’. John Trudell, in this amazing speech made on Thanksgiving Day 1979, shortly after Three Mile Island happened, really says it all about Nuclear Energy. This speech was made 7 years before Chernobyl Accident, and 32 years before the Fukushima Accident. His work and his words are beyond inspirational…and they are brutal truth, raw and beautiful. Thousands of people who fled the meltdown at the Fukushima Daiichi nuclear power plant six years ago will soon lose their housing subsidies, forcing some to consider returning despite lingering concerns over radiation in their former neighbourhoods. The measure, condemned by campaigners as a violation of the evacuees’ right to live in a safe environment, will affect an estimated 27,000 people who were not living inside the mandatory evacuation zone imposed after Fukushima became the scene of the worst nuclear accident in Japanese history. The second test round of a five-year thorium based nuclear fuel irradiation project has begun at Norway’s Halden research rector, southeast of Oslo, the International Thorium Energy Organisation (ITheO) said. The second phase of the project will verify test results from the first round, carried out in 2013, and is “a further step” towards the eventual commercial use of thorium as a supplement fuel in conventional nuclear reactors, a statement said. The second phase is expected to produce unique data that shows how the fuel ceramic behaves during long periods of operation in a reactor core under various conditions, ITheO said. This is the reactor that has developed a "problem" and is leaking radiation across Europe, which was initially blamed on a Russian nuclear weapons test by the corporate media. October 25th brought reports that there was a release of radioactive iodine from the Halden Reactor [in Norway]… The iodine emission began when the IFE [Institute for Energy Technology] should have dealt with damaged fuel in the reactor hall. This led to a release of radioactive substances via the ventilation system… The next day, the NRPA conducted an unannounced inspection of the IFE. The situation was still unresolved and radioactive released were still ongoing… The ventilation system was then shut off to limit further releases into the environment. This, in turn, created more serious problems… Pressurize air kept the valves in the reactor’s cooling system open, which in turn stopped the circulation of cooling water. When the radioactive isotopes from this accident were first detected along the Norway border, the Corporate Media instantly blamed secret Russian nuclear weapons tests! Could I just make an observation that’s been missing from this interesting discussion? Fukushima accident is not over – not by any means… The cancer rate in Japan is going to rise steadily. It’s going to be denied by the government because there’s no transparency on this issue in Japan. There’s a particular example of the problem that intrigues me is when they put the plant in, they not only dug it out so it’d be closer to the water source – the sea – but they put it where there was a river flowing underneath that area. They went up the hill and they diverted the river so that it flowed down on the sides of the large area there and that was no problem. They never anticipated an earthquake could wreck their diversion. So know we have a strong underground river flowing directly under the plant where three huge globs of molten fuel are sitting on the bottom, giving off radiation, and sending that radiation into the water through the river that’s underneath the plant. Sea lions are contracting and dying from cancer, at alarming rates in their uro/genital tracts, most often among the females. “We are concerned that it is such a high incidence. It’s 19 or so percent in this particular population of California sea lions which is very unusual for any mammal,” says Dr. Padraig Duignan, Chief Pathologist at the Marine Mammal Center… “So, usually when you see a severe disease outbreak like this, in wildlife, there’s some big underlying problem,” adds Dr. Cara Field, a rehabilitation veterinarian… “Certainly understanding why they get it and what the contributing factors are and ‘do these contributing factors represent a risk to us?’ is critically important for us in understanding what other risks there may be for us as well as other animals,” says Dr. Field. Naohiro Masuda, president of Fukushima Dai-ichi decommissioning, claimed that more creativity is needed in developing robots to locate and assess the condition of melted fuel rods. He said that more data, which must be collected by probes, was needed before a proper cleanup could begun. 'We should think out of the box so we can examine the bottom of the core and how melted fuel debris spread out,' Mr Masuda said. An earthquake of magnitude 5.6 has struck near the Japanese city of Fukushima, in the north east of the country. The nearby nuclear plant is not said to have been affected. In two weeks, on March 11th, the world will NOT be celebrating the 6th anniversary of what will probably become the world’s most disastrous and expensive industrial accident ever – the failure of 3 of the 4 operating nuclear reactors in Fukushima, Japan. Billionaire and founder of Microsoft Bill Gates briefed world leaders and others at the Munich Security Conference last Saturday on emerging megatrends which Gates said could lead to the demise of the human race. There is another factor. A fish contaminated while swimming near Fukushima is just as contaminated when caught and eaten off of San Diego. The Japanese government is due to lift evacuation orders in heavily contaminated areas around Fukushima. The plant is located in Central Ukraine near the city of Enerhodar, on the banks of the Kakhovka Reservoir on the Dnieper river. It has 6 VVER-1000 pressurized light water nuclear reactors, each generating 1000 MWe, for a total power output[clarification needed] of 6,000 MWe. The first five were successively brought online between 1985 and 1989, and the sixth was added in 1995. The plant was said to still be in construction till 2030 and will generate a bigger amount of power. While everyone is trying to blame Russia for the spike in Iodine isotopes in the air, note the map below. The map does not show any bias towards the arctic. In fact, Poland has the highest reading. One has to wonder if Ukraine, which has a past record of nuclear accident, might have suffered a problem at the Zaporizhia Nuclear Power Plant, and the "blame Russia for everything" media is shouting "Russian nuclear test" to protect the already beleaguered nuclear power industry. Kelp off Southern California was contaminated with short-lived radioisotopes a month after Japan’s Fukushima accident, a sign that the spilled radiation reached the state’s urban coastline, according to a new scientific study. It is possible that Russia detonated Tactical nuclear Bomb in violation of the Nuclear Test Ban Treaty, or suffered a nasty Naval Reactor Accident in Novaya Zemlya. The Rancho Seco Nuclear Power Plant(which was decommissioned in 2009 but still has radioactive material on the 11 acre property) is in the middle of the "IMMINENT" Flood Zone! A spike in the levels of dangerous radioactive chemicals has been recorded across Europe. Air quality stations across the continent detected traces of radioactive Iodine-131 in January - but scientists are yet to work out where the particles came from. Traces of Iodine-131 were first recorded in Norway and have now been found in Poland, Czech Republic, Germany, France and Spain. The isotope has a half-life of only eight days, which suggests the particles must have entered the atmosphere after a recent event. The pattern of movement of the particles suggests they may have originated in Eastern Europe, according to the Norwegian Radiation Protection Authority (NRPA). The location of the melted fuel (corium) at the Fukushima nuclear power station #1, in reactors 1, 2 and 3, is historic because of the massive radioactivity of the material. Depending on its location it will emit deadly radiation into the environment for a long, long time to come. Millions of Japanese citizens could be at risk of dying from cancer as a result of the increasing amount of radiation pouring out of Fukushima. Nuclear lobbyists and some scientists are under the mistaken impression that nuclear power is virtually carbon-free, and thus must be pushed to prevent runaway global warming (if you don’t believe in global warming, please forward this to your friends, family and colleagues who do so). Which means massive birth defects among the Syrians for generations to come. This is not the first case, when radioactive materials are stolen in Mexico. In April 2013, a container with cobalt-60 isotope was stolen, while in 2014, 2015 and 2016 criminals stole iridium isotopes in three different cases. All these radioactive materials were found later. Radiation levels inside reactor No. 2 at Fukushima are now so dangerously high that even robots cannot survive inside. Tokyo Electric Power Co. (Tepco) wasn't kidding when it said the radiation levels inside Fukushima's nuclear reactor are the highest they've been since its meltdown in 2011. It had to pull out the robot it sent in to find the exact location of melted uranium fuel and to do preliminary cleanup inside the reactor, because it died shortly after it started its mission. Apparently, two of the machine's cameras suddenly became wonky, darkened and developed a lot of noise after merely two hours of scraping debris away. Those are all signs of extremely high radiation levels. Tepco believes the robot endured approximately 650 Sieverts of radiation per hour if it only lasted a couple of hours. If it were a human in there, he would have died instantly. Mitsuhei Murata, Former Japanese Ambassador to Switzerland: [...] Ignoring the conditions of the Fukushima nuclear reactors continue to be promoted at home and abroad. Fukushima must not be forgotten. In the name of the victims and 170,000 refugees, I call for a total ban of nuclear energy. The world must realize that any radioactive contamination creates immense and permanent harm for mankind and the earth. “The impact loads the containment would receive by this very rapid release of energy could tear the containment apart and create an uncontrolled release,” he added. Questions about the safety of the Mark 1 and its ability to handle the immense pressures that would result if cooling power was lost continued to persist for decades. the Flamanville blast is the third explosion in French nuclear power plants in the past week and a half… The previous explosion at Cattenom nuclear power plant occurred on February 1, French media outlets reported on Friday, while also noting that the three explosions had occurred within 10 days of one another. General Electric designed the reactors at Fukushima, and built two of them. That same design is in use in at least 20 power stations here in the United States. General Electric owns shares in television networks NBC and Telemundo, Universal Pictures, Focus Features, and 26 television stations in the U.S. including cable networks MSNBC, Bravo and the SyFy Channel. GE formerly owned other media but it can be assumed that links remain at the executive level. That is one reason why corporate media is silent. The other is that politicians never allow attention to be paid to problems they cannot fix or profit from. A remote-controlled cleaning robot sent into a damaged reactor at Japan's Fukushima nuclear plant had to be removed before it completed its work because of camera problems most likely caused by high radiation levels. Six years ago, an absolutely devastating tsunami caused a triple meltdown at Japan’s Fukushima nuclear power facility. HUGE! We’re Being NUKED—What They’re NOT Telling You About Fukushima’s Latest Disaster! (TEPCO) is reporting that the atmospheric readings inside Daiichi reactor Number 2 are as high as 530 Sieverts per hour. Check out the Fukashima Daichi plant in Google Earth. The 2016 and later images show the entire area covered in various boxes and drums, ALL of which are storing highly radioactive waste! In the T?hoku region on the island of Honshu lies the Fukushima Daiichi Nuclear Power Plant which was decimated by a large tsunami which formed following the T?hoku earthquake which struck on March 11, 2011. The damage was so great that the entire region was listed as a radioactive zone. As of Thursday radiation levels reached ” 530 Sieverts per hour” inside of Reactor No. 2. OBAMA Hid HUGE JAPAN CRISIS, NOW REVEALED - 6 yrs to Fix or Face Grave Danger! Clearly, there is uncontrolled fission going on underneath the ruined reactors. With all the incredibly shabby and value-engineering done on this plant TEPCO has come very close to having created an ELE here (an "extinction level event"); and both TEPCO and the Japanese government are impotent to stop the damage. And what is the rest of the world's leadership doing?!? Ignoring it as though this hasn't happened at all, no matter how many people are going to die from this. In my world, every TEPCO official and Japanese government official who signed off on the horrific design flaws in this plant should be charged with irreversible world endangerment, and probably spend the rest of their miserable lives in prisons run by the Yakuza. Unfortunately, however, the execs at TEPCO and Japanese government officials live in the world of monied privilege, and that means never having to take responsibility for the results of their actions.